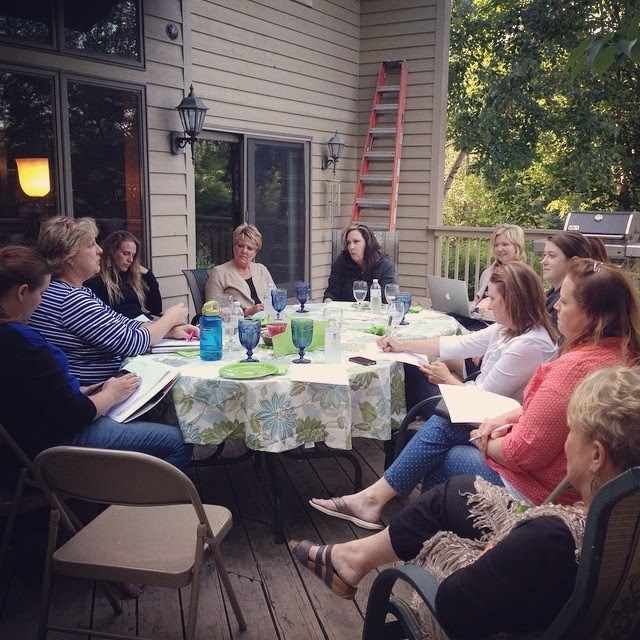 Our BTG writers meeting this past week! Oh my. This is a loaded question. The first reason I write is to be honest about who I am and were I am. In all truthfulness, I find healing for myself through writing. Telling my own story allows for openness with those around me. It has been so encouraging to hear other people respond to our posts, understanding where we are, and realizing we’re all in this together! Life is not meant to be lived alone and sharing stories is one of the best ways I’ve found to join with others! The other reason I like to write is to remember: what has happened, where I’ve been, and what God has done. I’ve realized just how important story is and passing them on to my family and children is vital to who we are now. It’s what knits us together across time and distance, bringing us close, when we remember our story. To me, remembering is priceless. I usually ruminate about an idea for a post for a few days before I actually begin writing it. I have a few articles that I’m working on at one time and go back to before publishing. I actually attended a Bridging the Gap writers’ meeting this past week were we were encouraged in our writing process! Some tips I took away as a writer are to: write everyday, get rid of all distractions (including social media and phone!) and keep a notebook on you to write down ideas as they come to you. That last one really struck me. So often I am out and a little thought comes to mind, but by the time I get home, it’s gone. That tip in particular I plan to implement! Kristin, Julie and I just had a meeting two nights ago and we are SO excited to be working on a bigger project once again! We are writing an e-book that we’ll publish this fall and August is our month to buckle down and get it written. We’d love your prayers during this month! We will also continue with our regular blog posts both here and over at Bridging the Gap, as well as having some fun giveaways in August for our second anniversary (so be watching for those)! What other writers I’d like to introduce to you? Now it’s my turn to introduce you to some other amazing bloggers! Esther Aspling from For This Is The Time, is an amazing mother of six who homeschools and still finds time to minister to others through blogging! She has a passion for justice like few people I've met and a heart for the hurting. She and her husband recently started a nonprofit in our area called Involved Cycles. Her blog is one you will love! Nancy Holte is another writer and blogger that I met through Bridging the Gap. She quickly became a dear friend. I love her so! Nancy is one of the funniest people I know, even when she's not trying! She writes honestly and from the heart. You are definitely going to want to check out my sweet friends blog here. Ok, Esther and Nancy, now it's your turn to share your writing process with us! You bless me, girl! Thanks so much for your sweet words. Yayy for new ebooks and writers' meetings!! How exciting, can't wait to see your new book : ) Thanks for introducing your friends - clicking over to check out their blogs now!